Happy Sunday sweeties! While I was in London, we did a lot of eating. 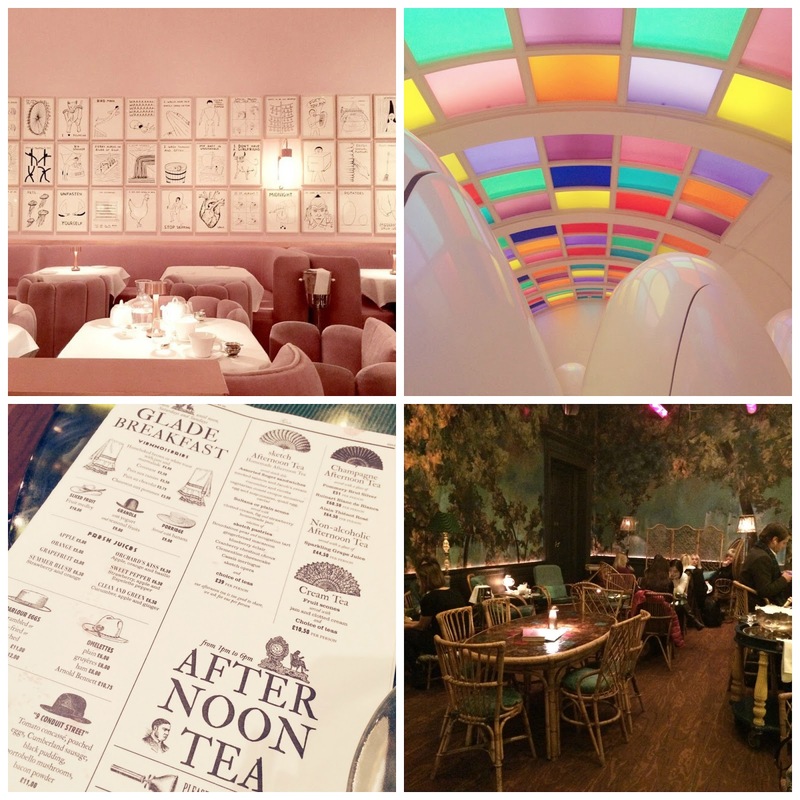 One of my colleagues in Hong Kong who had lived in London for a long time gave me tons of addresses of nice restaurants, bars and tearooms I should try. I wasn't able to test them all in three days (need to come back!) 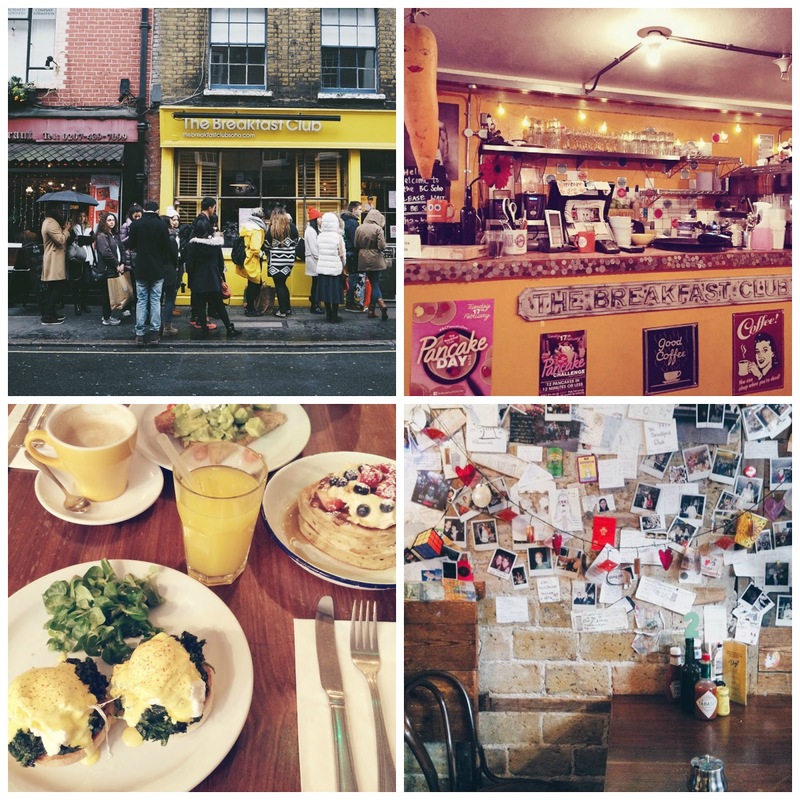 but here are a few tips on where to eat in London. For breakfast The Breakfast Club in Soho is very trendy at the moment. You get everything there a breakfast lover like I am one needs. They serve traditional British dishes like baked beans and sausages but also pancakes, french toast, eggs benedict, avocado toast, smoothies and much more. The interior is very hipster. I loved the wall with notes from guest coming from all parts of the world. It is not possible to book a table for breakfast therefore you might need to wait quite a bit and we felt a little rushed and kicked out as they wanted to give our table to the next guests. 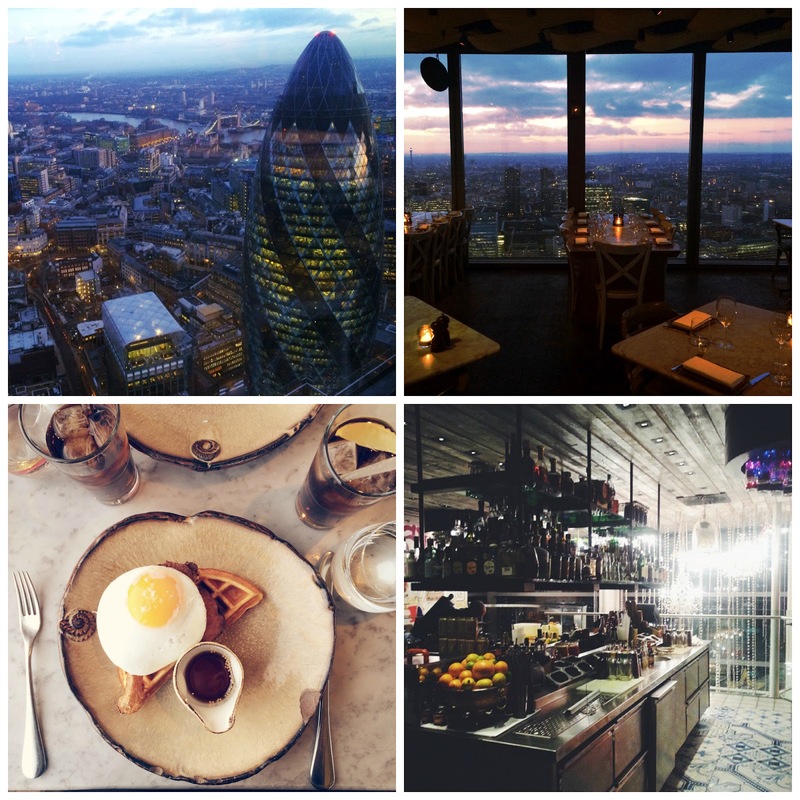 For the best view definitely check out Duck & Waffle, the highest restaurant in the UK. 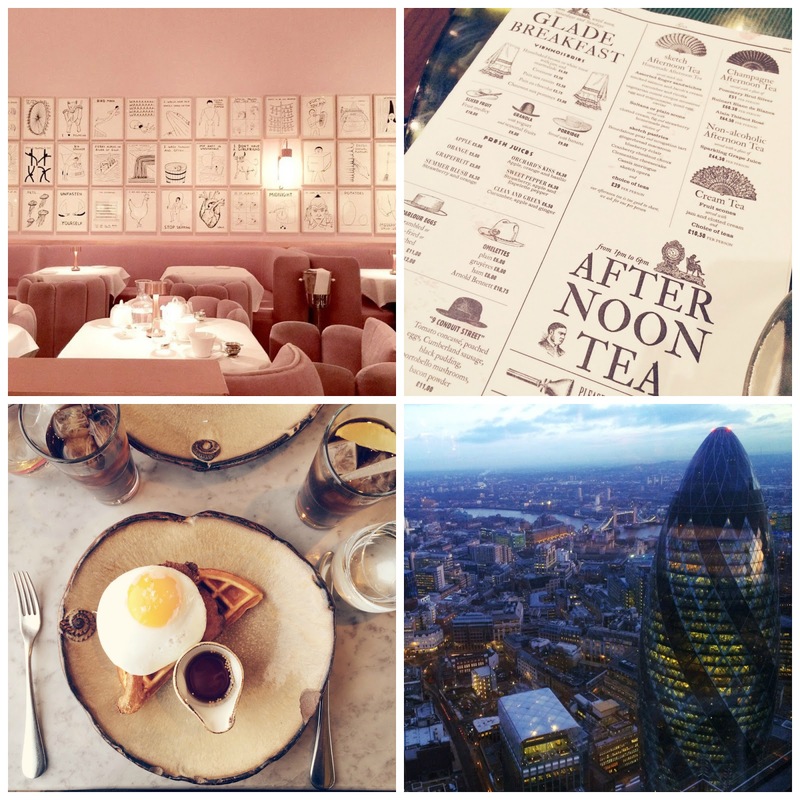 It is located on the 40th floor from where you can see all over London while enjoying their signature dish, duck and waffle with marble mustard syrup, 24/7. Such a unique and delicious combination. Must do! Borough market is not a restaurant but still a popular place to have lunch at. 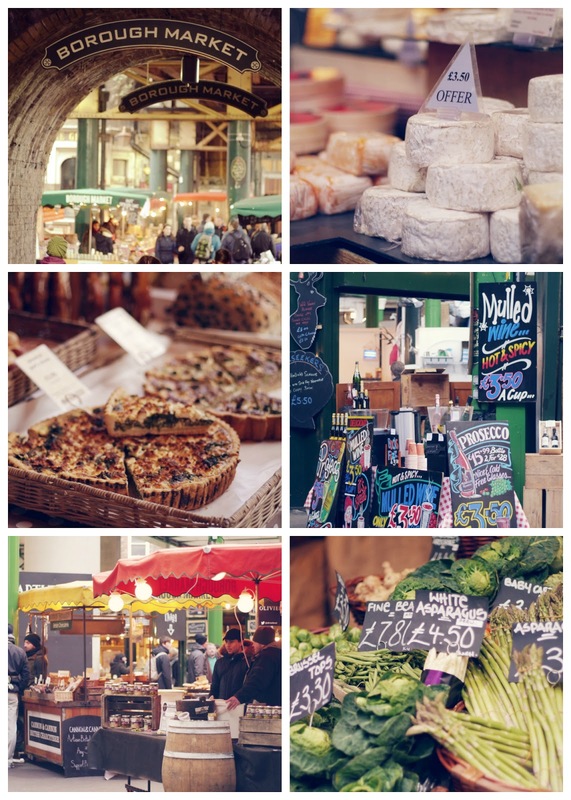 While Borough market mostly offers deli food like finest cheese, bread and fish, there's also a section where you will find cooked food from all over the world. It is a lot of fun to stroll through the stands and test little bites of everything. Definitely a more adventurous experience than sitting at a table in a restaurant. 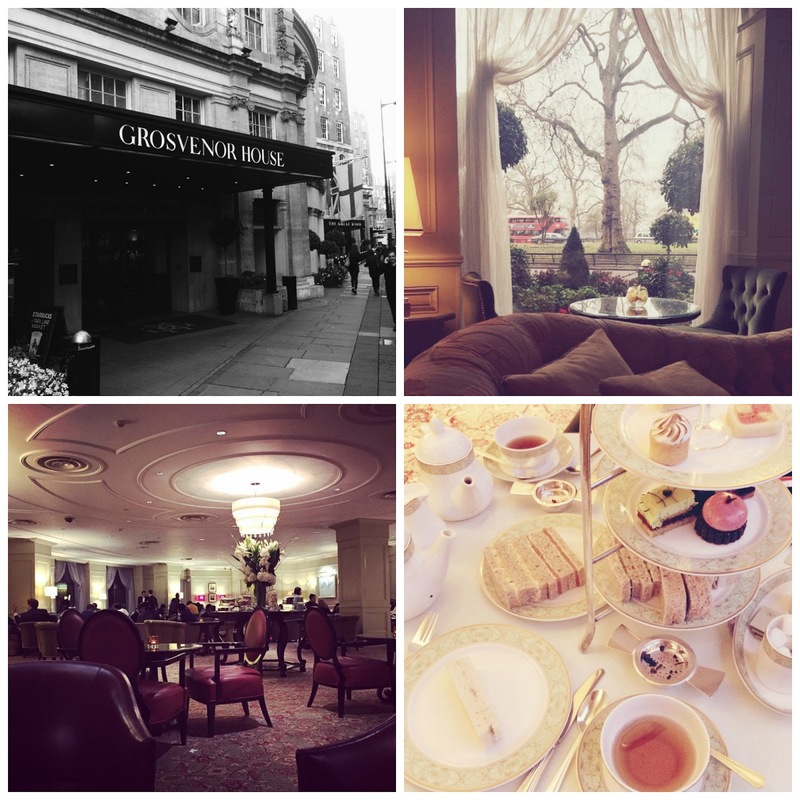 We treated ourselves to afternoon tea at The Park Room at Grosvenor House/Marriott hotel. I think I have told you a million times before how much I love high tea and this one definitely did not disappoint. Beautiful china and silver, live piano music, the finest cakes, sandwiches and scones as well as attentive staff. Girly girls will love it! Sketch is a beautifully designed cafe/restaurant/bar. It has five differently themed rooms - the Parlour for example reminds of a Louis XV chateau, the Glade takes you to a magic forest, and the Gallery designed by British artist David Shrigley is a dream in baby pink. You can come any time of the day and different rooms will be open depending if the are specialized on tea, dinner or drinks. The interior is designed to the point so that you sink into a different world. A great experience!